Dimmable LED Drivers stocked in Vancouver, Canada. 300Watt dimmable LED Transformer now available. Dimmable LED Transformer stocked in 20Watt, 60 Watt and 150 Watt versions. 300W versions also available. Fully sealed for indoor or Outdoor Use. cETLus Listed (Certified to CSA and UL). 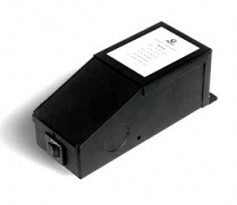 For use with approved Magnetic Low Voltage Dimmers, contact us for the list. These Dimmable LED Drivers are for dimming on the Line Voltage side (120V Side), with approved dimmers, contact us for our approved list.